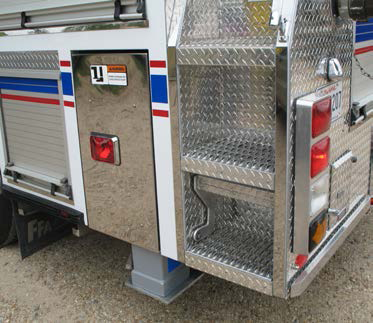 With 40 year experience available to you, we are your Fire Apparatus Specialists! Our service department is committed to meeting the highest standard of quality for cosmetic, functionality, and turn around in the industry. Our EVT Certified Personnel bring over 40 years of knowledge and experience to the company. 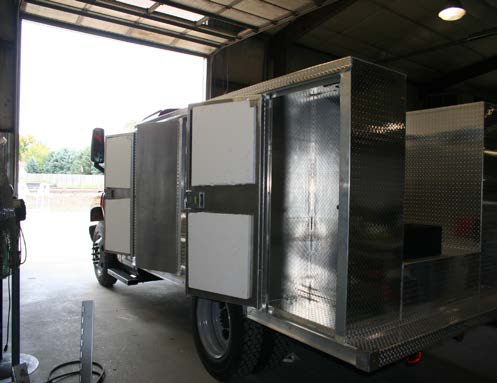 Work can be performed at our new state of the Art Facility in Rayne or at the Fire Department utilizing our mobile service units. 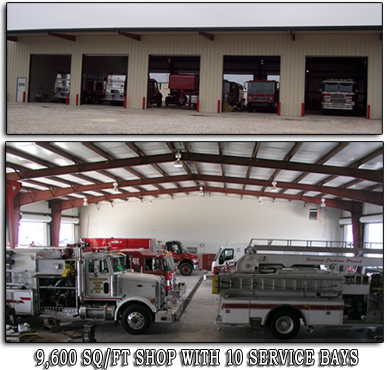 Our 9,600 square foot shop includes 10 service bays. 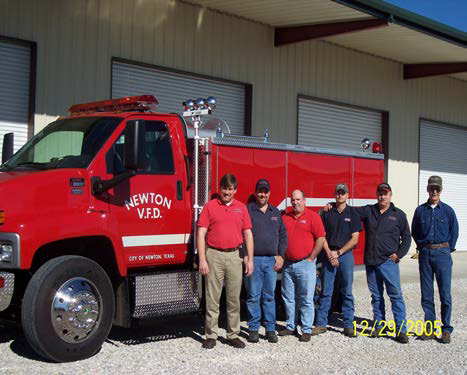 Our personnel have experience with pump testing; pump repair and overhaul; pump packing; pump installation and/or re-location. We also specialize in electrical repairs, installation of electrical or electronic equipment. Valve repair and valve replacements are common knowledge to our technicians. 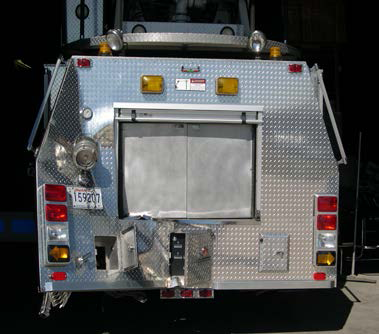 We can repair ANY brand of fire apparatus from body repair and painting are also areas in which we can service your needs. Our main goal is to supply your needs with as little down time as possible. Feel free to contact Barry LeBlanc, Service Manager, at 800.650.4900 or leave a message on our Contact Page. The Bonaventure Service Department has the knowledge and experience to provide the attention needed to get you back online, faster, and with confidence that your equipment will perform efficiently every time!! Our Onsite Service Fleet includes # fully equipped mobile service trucks and are available to at moments notice and we guarantee our customers a maximum 3 Hours onsite response to all service calls. 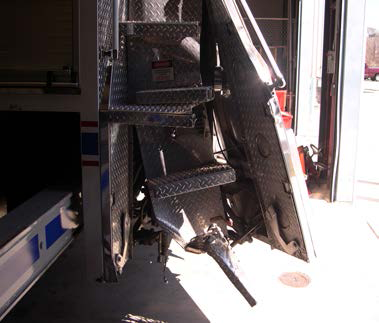 Call us at 1-800-650-4900 for all your service needs. Our Service Technicians are EVT Certified. 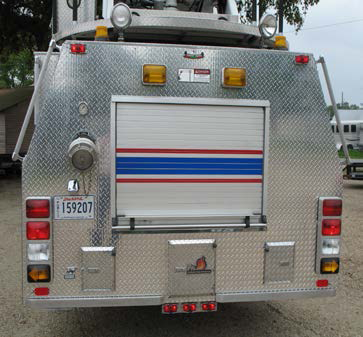 The EVT Certification Commission is a nonprofit corporation dedicated to improving the quality of emergency vehicle service & repair throughout the United States and Canada by means of a certification program provides technicians recognition for the education, training, and experience they have in the service and repair of emergency vehicles. Our quality is measured by your repeated trust and satisfaction!! For more before and after images, Click here.